Funko Pop! 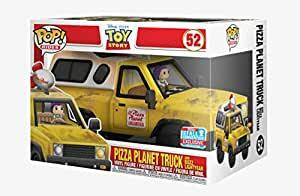 presents a stylized vinyl collectible figure of the Pizza Planet truck from Disney Pixar’s Toy Story being driven by Buzz Lightyear! A 2018 Fall Convention Exclusive Limited Edition!